The FINANCIAL -- The Procter & Gamble Company reported first quarter fiscal year 2018 net sales of $16.7 billion, an increase of one percent versus the prior year. Organic sales also increased one percent. Diluted net earnings per share were $1.06, an increase of 10% versus the prior year while core earnings per share increased six percent to $1.09. Currency-neutral core EPS also increased six percent versus the prior year. Operating cash flow was $3.6 billion for the quarter. Free cash flow productivity was 87%. The Company returned $4.3 billion of cash to shareholders via $1.8 billion of dividend payments and $2.5 billion of common stock repurchase, according to the Procter & Gamble Company. Net sales in the first quarter of fiscal year 2018 were $16.7 billion, an increase of one percent versus the prior year. Organic sales also increased one percent driven by a one percent increase in shipment volume. Pricing, mix and foreign exchange had no net impact on sales for the quarter. Beauty segment organic sales increased five percent versus year ago. Organic sales were up double digits in Skin & Personal Care driven by growth in China, including the continued acceleration of the super-premium SK-II brand due to the ongoing strength of the brand campaign. Organic sales increased low single digits in Hair Care primarily due to increased pricing across regions behind product innovation. Grooming segment organic sales decreased six percent due to lower sales in Shave Care, partially offset by growth in Appliances. Organic sales decreased high single digits in Shave Care due to price reductions in the U.S. and negative product mix. Organic sales increased double digits in Appliances driven by increased volume from the continued success of innovation on Braun male styling and mid-tier shavers. Health Care segment organic sales increased one percent for the quarter. Oral Care organic sales increased low single digits behind product innovation on power toothbrushes and toothpaste and increased marketing support. Personal Health Care organic sales decreased low single digits due to decreased volume primarily caused by relatively lower levels of product innovation versus year ago. Fabric and Home Care segment organic sales increased two percent versus year ago driven by gains in Fabric Care. Fabric Care organic sales increased low single digits behind volume growth from product innovation and increased marketing support. Home Care organic sales were unchanged. Baby, Feminine and Family Care segment organic sales decreased one percent versus the prior year. Baby Care organic sales decreased mid-single digits due in part to competitive activity in Europe and a decline in China Baby Care shipments due primarily to wholesaler inventory run-down ahead of new innovation shipments. Feminine Care organic sales increased low single digits driven by favorable product mix due to premium innovation. Family Care organic sales increased mid-single digits driven by higher volume from increased distribution and marketing activities. Diluted net earnings per share were $1.06, an increase of 10% versus the prior year. Diluted net earnings per share from continuing operations were also $1.06, an increase of six percent versus the base period, primarily due to a reduction in outstanding shares. Core earnings per share, which exclude non-core restructuring charges, were $1.09, an increase of six percent versus the prior year. Currency-neutral core earnings per share also increased six percent for the quarter. Reported gross margin decreased 40 basis points, including a nominal impact from non-core restructuring charges versus the prior year. Core gross margin also decreased 40 basis points, including 30 basis points of negative foreign exchange impacts. On a currency-neutral basis, core gross margin decreased 10 basis points as 150 basis points of productivity savings were more than offset by 70 basis points of commodity cost increases, 50 basis points of unfavorable geographic and product mix and 40 basis points of product reinvestments and other impacts. Selling, general and administrative expense (SG&A) as a percent of sales increased 10 basis points on a reported basis versus the prior year, including an approximately 20 basis point impact from a year-on-year increase in non-core charges. 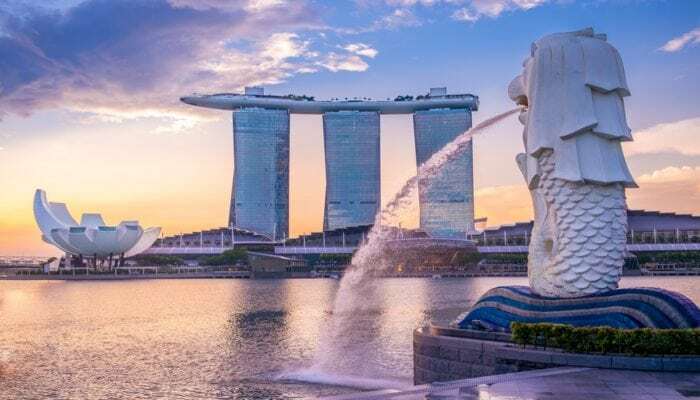 Core SG&A as a percentage of sales decreased 10 basis points versus the prior year, including an approximately 30 basis point benefit from foreign exchange. On a currency-neutral basis, core SG&A as a percentage of sales increased 20 basis points as 40 basis points of savings from overhead, agency fee and advertising production cost productivity were more than offset by increases in marketing investments and overhead expenses. Operating profit margin decreased 40 basis points versus the base period on a reported, core and currency-neutral basis, including total productivity cost savings of 190 basis points for the quarter. P&G said it is maintaining its guidance for organic sales growth in the range of two to three percent for fiscal 2018. The Company estimates all-in sales growth of about three percent for fiscal 2018, which includes a neutral to half-a-percentage-point benefit to sales growth from the combined impacts of foreign exchange, acquisitions and divestitures. The Company also maintains its expectation for core earnings per share growth of five to seven percent versus fiscal 2017 Core EPS of $3.92. P&G noted that it is maintaining estimates despite over $100 million of incremental commodity cost headwinds resulting from the hurricanes that impacted the Gulf Coast in September. All-in GAAP earnings per share are expected to decrease 26% to 28% versus fiscal year 2017 GAAP EPS of $5.59, which included a significant benefit from the Beauty Brands transaction that was completed in October 2016. The fiscal 2018 GAAP EPS estimate includes approximately $0.10 per share of non-core restructuring costs.